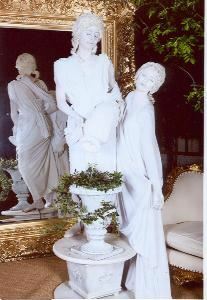 We provide world-class Living Statues, Mime Artists & more. America's oldest living statue company. We've performed all over the US, Canada, Asia, Europe and South America. We're based in Los Angeles & San Diego. All members are trained my master mime Don McLeod. We perform in full body make-up for the most authentic Living Statue look. We have many Greek, Roman, Venetian and Asian costumes and we can create almost anything the client might want. Highly entertaining (we're inter-active) sometimes humorous and always classy.